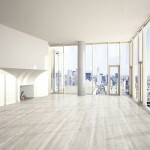 Listed at $48 million, the penthouse at Sky Lofts at 145 Hudson Street is nothing short of breathtaking. James Carpenter, the same architect responsible for 7 World Trade Center, designed the four-bedroom, duplex glass house atop an historic Art Deco loft building in the heart of Tribeca. Created with the art collector in mind, its glass envelope is sun and temperature controlled. Other features include 22-foot ceilings, polished museum-quality concrete flooring, two wood- burning fireplaces, two elliptical staircases, and 360-degree panoramic views. 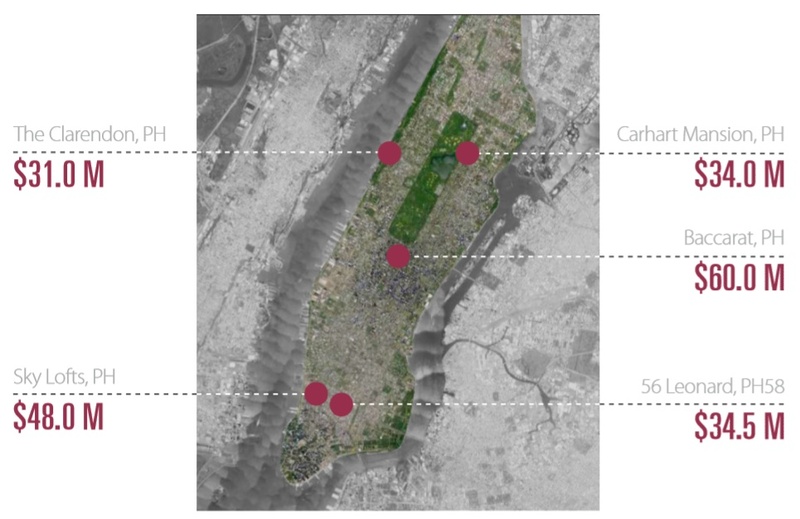 With 7,500 square feet of interior space, as well as a 4,500-square-foot wrap-around terrace, the home set a record for highest-priced Manhattan apartment south of Columbus Circle when it was originally purchased for $30 million in 2009 (a record later broken by the $50.9 million sale of the Walker Tower penthouse). The penthouse will be the crowning jewel of the yet-to-be-completed Baccarat Hotel & Residences, the crystal-themed luxury hotel/condo building at 20 West 53rd Street. The 7,381-square-foot, five-bedroom duplex boasts exquisite Baccarat chandeliers, solid white-oak plank floors, a custom-designed staircase with Lido marble treads and a glass railing, and double-sided fireplaces in the living room and master suite. It’s topped off with a 602-square-foot, double-height loggia. 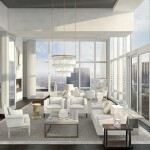 And all of this grandeur comes at a price–our most expensive penthouse is listed at $60 million. Going back to where it all began, this 17-room, four-floor penthouse was once part of William Randolph Hearst’s quintuplex apartment. 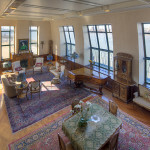 Located at the Clarendon at 137 Riverside Drive, the home is currently owned by real estate financier and art collector Benedict Silverman. When Hearst lost the building to foreclosure in 1939, his penthouse was broken up into smaller units, but Silverman started buying them up in the 1990’s. The current apartment layout is different from the original 1913 spread, but the seven-bedroom mansion claims an 800-square-foot living/dining room, top-floor solarium with curved walls and 100-foot-long terrace, media room, gymnasium with vaulted ceiling and skylight, and five terraces. 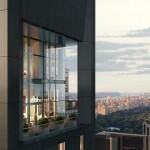 And for $31 million, this can all be yours (the penthouse originally went on the market in March for $38 million). 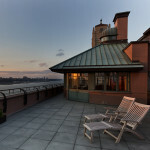 Located atop the Amory S. Carhart Mansion at 3 East 95th Street, this duplex penthouse is listed for $34 million. The townhouse was designed in 1913 by Horace Trumbauer in the Louis XVI Parisian-style and was converted to four exclusive apartments in 2000. In 2008, British fashion designer Tamara Mellon, co-founder of Jimmy Choo, bought the five-bedroom penthouse from billionaire businessman Edgar Bronfman Jr. for $21 million. Original features of the apartment include herringbone oak floors, four wood-burning fireplaces, a sunken living room with recessed east-facing windows, and media room/library with a carved oak bannister. 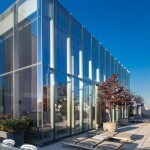 It also has 5,200 square feet of outdoor space that comes complete with an array of terraces, loggia, and roof deck. Designed by Pritzker Prize-winning architect Herzog & de Meuron, 56 Leonard Street will be a 58-story residential condominium tower. Noted for its seemingly random pattern of cantilevered floors, the building will boast eight full-floor and two half-floor penthouses. 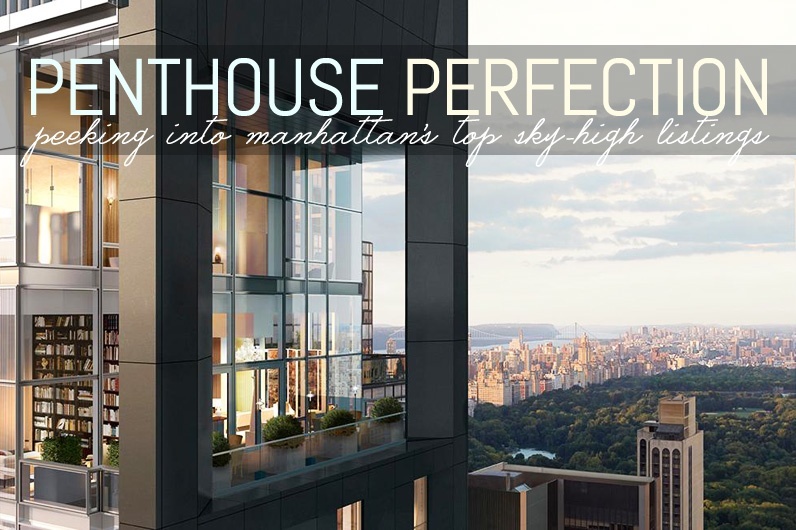 Penthouse 58 is a five-bedroom, full-floor home with 14-foot ceilings, floor-to-ceiling windows that offer panoramic views, and a 700-square-foot outdoor space. On the market for $34.5 million, the residence has a custom-designed interior by the architectural firm that includes a sculptural Absolute black granite grand piano-shaped kitchen island with custom-sculpted floating hood cover and a sculptural wood-burning fireplace.